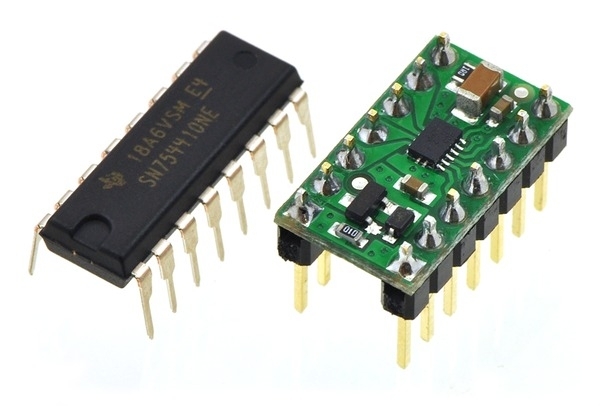 Texas Instruments’ DRV8835 is a tiny dual H-bridge motor driver IC that can be used for bidirectional control of two brushed DC motors at 2 to 11 V. It can supply up to about 1.2 A per channel continuously and can tolerate peak currents up to 1.5 A per channel for a few seconds, making it an ideal driver for small motors that run on relatively low voltages. 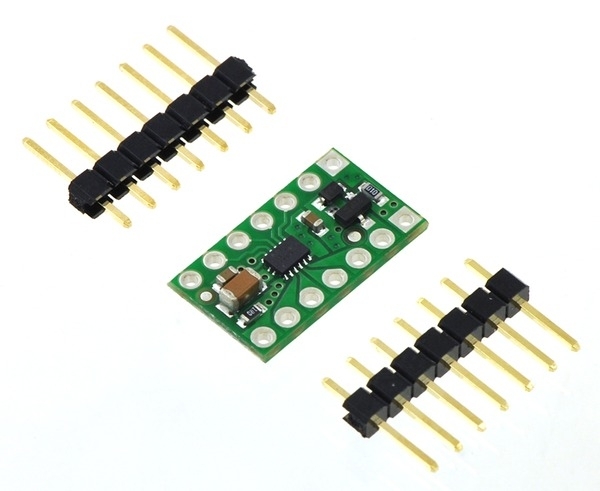 The DRV8835 is a great IC, but its small, leadless package makes it difficult for the typical student or hobbyist to use; our breakout board gives this driver the form factor of a 14-pin DIP package, which makes it easy to use with standard solderless breadboards and 0.1" perfboards. 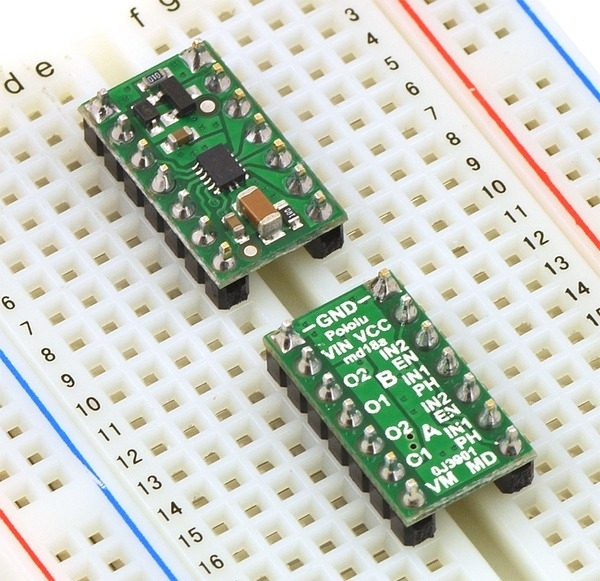 Since this board is a carrier for the DRV8835, we recommend careful reading of the DRV8835 datasheet (208k pdf). 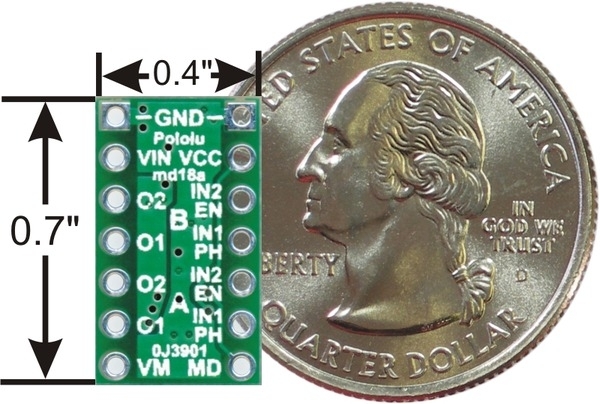 The board ships populated with SMD components, including the DRV8835, and adds a FET for reverse battery protection. 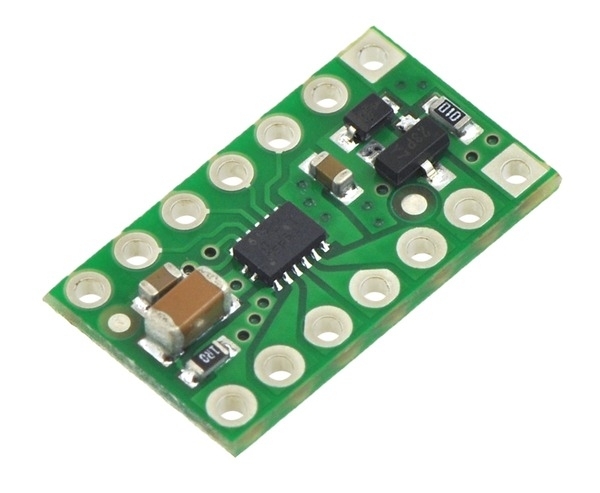 This board is very similar to our DRV8833 dual motor driver carrier in operating voltage range and continuous current rating, but the DRV8835 has a lower minimum operating voltage, offers an extra control interface mode, and is 0.1" smaller in each dimension. 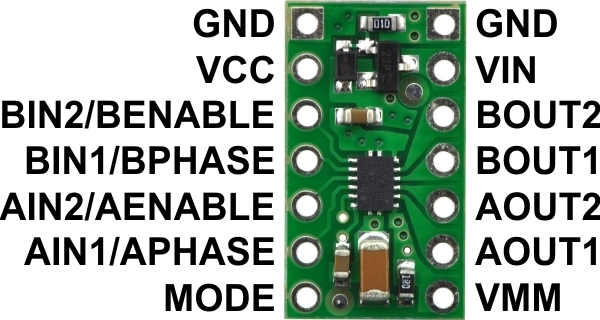 The DRV8833 has a higher peak current rating (2 A per channel vs 1.5 A), optional built-in current-limiting, and no need for externally supplied logic voltage. For a higher-voltage alternative to this driver, please consider our DRV8801 motor driver carrier.